KITS ARE MADE SPECIAL ORDER, PLEASE CONTACT US FOR PRICE AND AVAILABILITY. 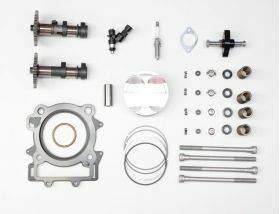 After countless hours of development, the KTM PERFORMANCE engine kit is finalized. This kit contains all the compoments listed below. On our in-house dyno, this kit was able to obtain 49hp to the rear wheel, a 26% increase in power from stock. The full Price of $2168.49 does include a $150 core charge for the Cam Shafts. The core charge will be refunded when we receive your stock cam shafts back in good order. There are options listed above if you have already purchased a PowerCommander or K&N Air filter. 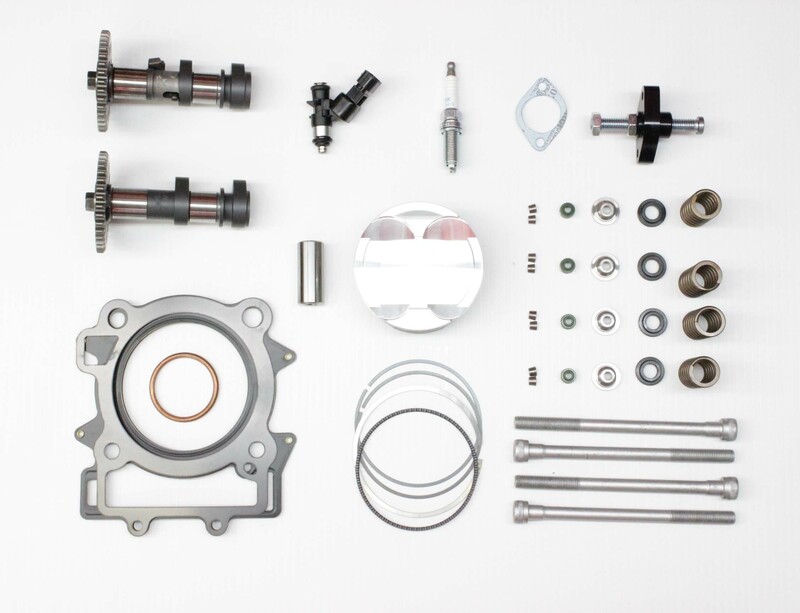 There are also options for our headservice, detailed below and the ceramic bearing kit. We are offering a head service that highly comlements this kit. if you would like us to port, polish, deck and assemble your Head for you, select the head service option above and ship us your head. turn round time is 2-4 business days and we will ship the rest of your kit back with your head. We do offer full engine build services, please enquire with Chad at service@commoto.com for pricing and availabilty.